So today my nose is bugging me so I thought perhaps something chickenny would be good. Well, this is artificial chicken flavor so we’ll see. Also if you look closely at the photo, the chicken in the bowl on the package looks like its made out of plastic! 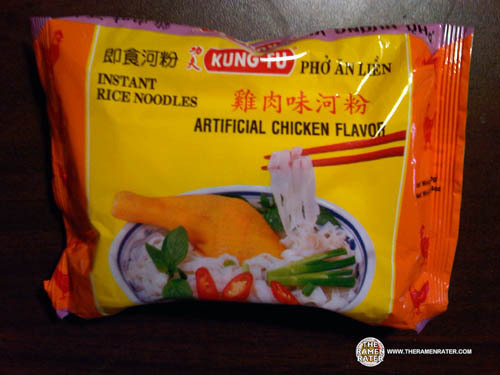 Truly artificial chicken flavor! Har har! 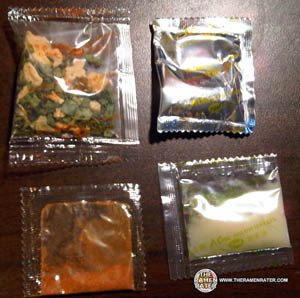 Was nice to see four packets – veggies, soup base, chili powder and some seasoned oil. 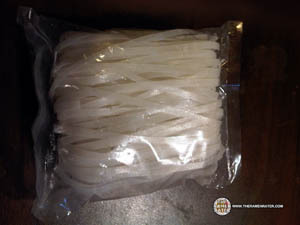 Flat rice noodles came in their own bag. So there’s soya protein in the veggies so that’s probably the fake meat funk. Click image to enlarge. I added two eggs to the boiling water and noodles. So this stuff is perfect for my funky nose. 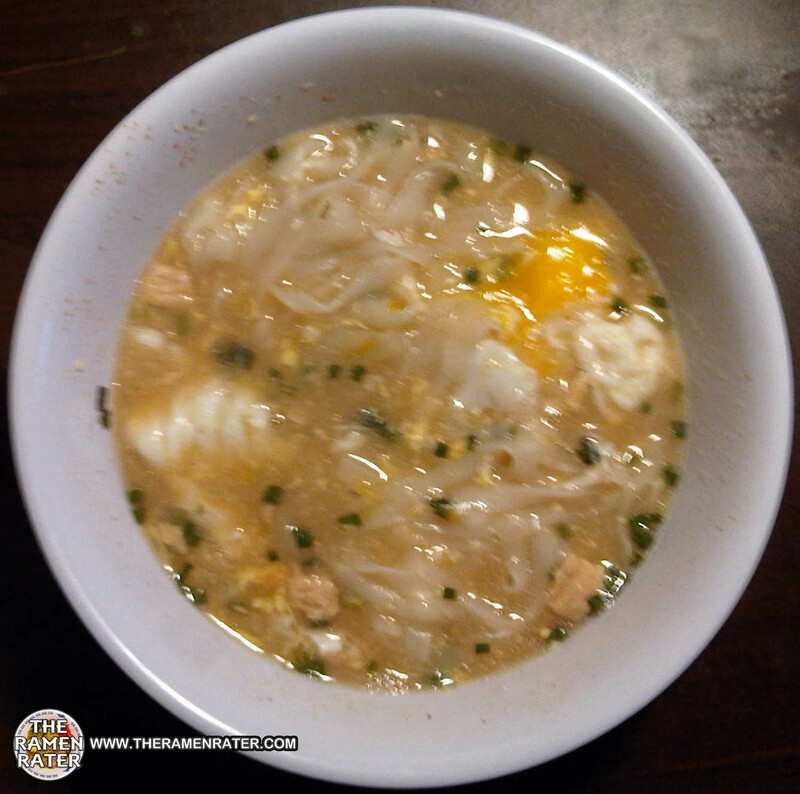 The rice noodles are nice – not bad at all. The broth is nice with just a slight spicy hint. The veggies are good and have fake chicken bits that r chewy. I liked it. I’ll give this one 3.5 out of 5.0 stars. 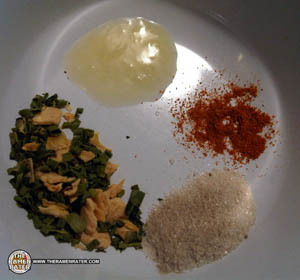 This entry was posted in * Stars 3.1 - 4.0, Chicken, Kung Fu, Ve Wong, Vietnam and tagged 8934684031116, 9934684031116, artificial chicken, chewy, chili powder, dropped, egg, fake meat, flavor, oil, saigon, scallions, shallot, soya protein, ve wong, vietnam on November 6, 2010 by Hans "The Ramen Rater" Lienesch. Where can I buy the Kung Fu Rice noodles shown above. I would need to know where you’re located. If ca.rr.com is Canada, I’d look for a T&T or Osaka supermarket. In the US, perhaps a 99 Ranch on the west coast or a Great Well market on the east coast.